A marriage that truly brings glory to God will also be one in which laughter, warmth, intimate companionship, and enjoyment of one another is flourishing. On what basis can I make that statement? Glad you asked! 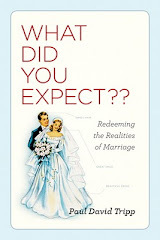 Marriage is to be a reflection of the relationship of Christ and His bride – the church. Christ wants us to have an intimate relationship with Him, He wants us to appreciate and enjoy Him, He wants us to experience His warmth and love and as for laughter you need look no further than His creation to see that He has a sense of humor. Recognizing that enjoying one another is only one aspect of a marriage that glorifies God, it is not a bad place to start. It may require that you become playful, that you shed your inhibitions and return to your youth. For example when was the last time you flew a kite? Go buy two inexpensive kites, find an open space where the wind is usually blowing and launch them into the air. Or perhaps you could try skipping together – wouldn’t your neighbors just love to see that. Maybe you could buy a foot long hotdog, start at opposite ends and meet in the middle. Go somewhere together to watch a sunset or a sunrise, chase after fireflies or butterflies, or lie on your sides and roll down a hill. Okay, if there is not enough child in you to do anything I have suggested come up with your own list. Granted, representing God on earth is serious business but by you and your spouse allowing your inner “child” out to play you can send a very inviting message to those who think that Christians are void of enjoyment, rigid, and judgmental. Send me your ideas for exposing the inner child.